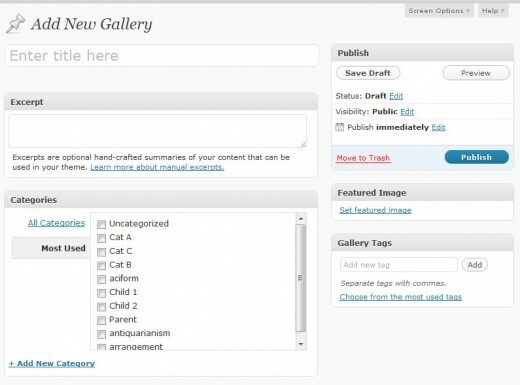 Custom post types is a new and powerful feature in WordPress 3.0. Here, we consider how to add metaboxes to the new custom post type user interface. Built-in metaboxes – These metaboxes are built-in to custom post types, and can be easily added by calling the add_post_type_support function or by including them in our register_post_type function call. Taxonomy metaboxes – These are metaboxes associated with WordPress taxonomy objects. 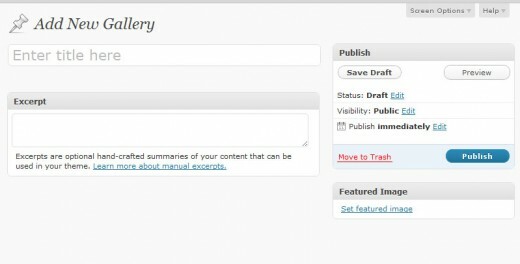 For example, two standard WordPress taxonomy objects are category and post_tag. Both have metaboxes defined, which we can include into our custom post type interface. Custom metaboxes – These are fully custom metaboxes that we create specially for our plugins or themes. They will usually contain HTML form elements that allow users to specify additional attributes and data for our custom post types. There are a variety of metaboxes that are built-in to custom post types. Line 24 – The support argument specifies which of the built-in metaboxes we want to include in our custom post type interface. Here, we include title, thumbnail, excerpt. 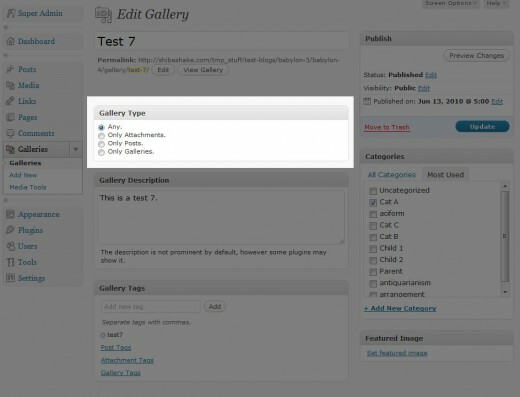 Gallery custom post type screen with built in title, thumbnail, and excerpt, metaboxes. We can also include built-in metaboxes by using the add_post_type_support function. The first argument is our custom post type and the second argument is the built-in metabox name(s) (can be a string or an array). We can add taxonomy metaboxes (e.g. category, post tag) to our custom post type interface by including them in our register_post_type function call. Alternatively, we may use the register_taxonomy_for_object_type function. Once we register an existing taxonomy with our custom post type, metaboxes are automatically added for that taxonomy. 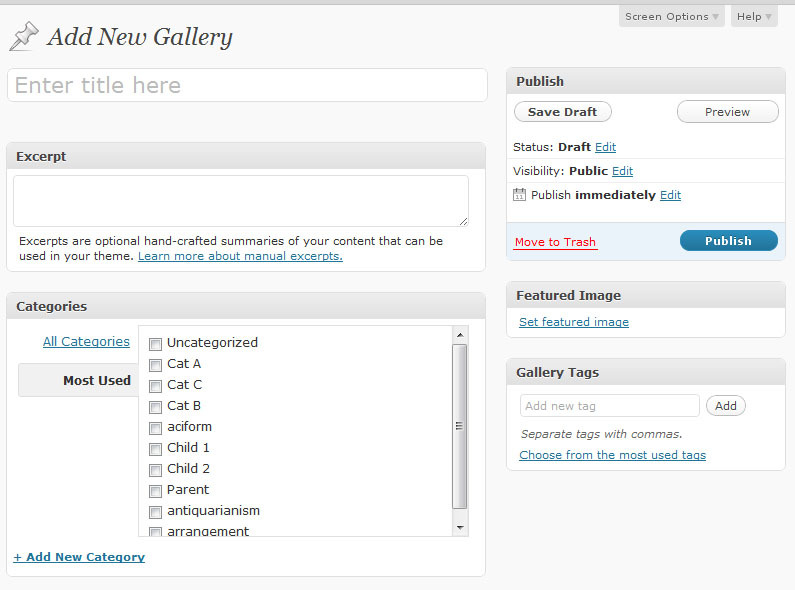 Below, a new Category and Gallery Tag metabox have been added to our custom post interface. The relevant taxonomy inputs will also be automatically saved, when we save our custom post object. Custom post type tag and category metabox. Note – The category and post_tag taxonomy objects each have their own special metabox interface. 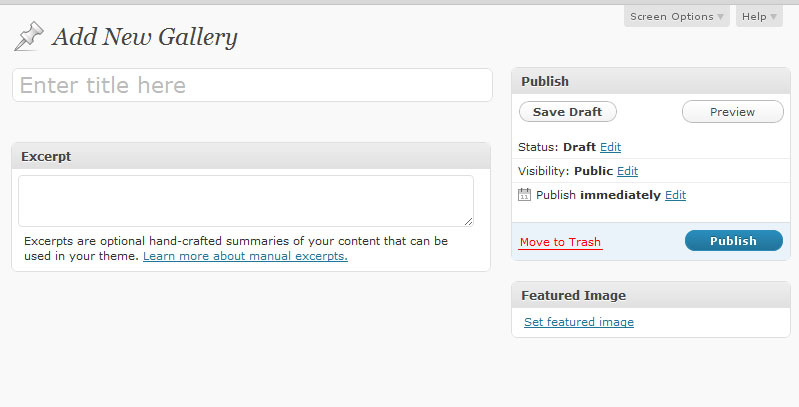 However, all other taxonomy objects will just use the standard WordPress post_tag interface. If we want to replace the standard post_tag metabox with our own metabox, we may use the add_meta_box function which we will consider next. Custom meta-box with a set of radio-buttons. Here, we create a custom metabox for our gallery object. In particular, we want to add a metabox containing a set of radio buttons so that users may choose what type of objects they want to store in their gallery (i.e. gallery type). For example, they may only want to store attachments, or they may also want to store posts, pages, and even other galleries. Lines 6-7 – Get previously saved gallery type data (if any). If none, then use attachment as the default gallery type. Line 9 – Add hidden security nonce key. Lines 10-13 – Render the appropriate radio buttons, and check the one that was previously selected. New gallery type metabox added to our gallery custom post type interface. We can use this method to render any type of HTML form that we want for our custom post type interface. However, we are not done yet. add_meta_box only adds the input controls; we must still attach and save the user data to our gallery object. This is achieved using the save_post action hook. Lines 6-8 – Verify that the form came from our gallery type metabox, and our gallery custom post type screen. Lines 11-12 – We don’t need to save the data if it is just an autosave event. Lines 15-16 – Only save the data if the user has proper permissions to edit the given post object. Lines 20-24 – Save the gallery type custom metabox data. If you want to include specialized metaboxes from plugins or themes, you will need to edit the plugin file and look for the relevant add_meta_box and save_post hooks. Then, just include them in your own admin_init function. Make sure to use your own custom post type name (argument 4) when issuing the add_metabox command. Hi Shiba, thanks for the tut! I’m new to WordPress. I want to ask you a question. I am using a plugin named Simple Staff List to create Staff Pages for all the staff. I want each of them be able to edit their page. However, the plugin doesn’t have Author Metabox in Editing page. I come back to the editing page, and it appears. Then I change the author value to another user (user type: Author) However, when I login using that user account, I still cannot edit the post. I guess I should change something more, what else I should do? You have no idea how many tutorials I’ve gone through but still cant get that friggin radio checked. Not even the mentioned-everywhere, so-called ‘Meta Box Framework’ that kind of too much for what it is, i think. I got so lost into it when all I want to do is to get a set of radio buttons. Kind of agree with Justin Tadlock whom i remember wrote that there are just too many tutorials about this and mostly making the thing a lot more complicated while actually it is not. I think your kind of post is what most of us need. Simple but the correct wordpress codex way, and mere-mortals readable. first of thank you for your great plugin i’m using shiba Mlib and it works a treat. I am currently looking at a way to set the page attributes metabox on the gallery post page so i can assign different templates to different galleries. Could you please point me in the right direction, i have purchased the hermes theme from themeforest but the DEV hasn’t been able to help me. In your last screenshot I noticed your “Excerpt” box has been renamed to “Gallery Description.” I’ve been looking all over Google and can’t find a way to do this. Would you let me know, or point me in the right direction of how to do this? Oh cool. Thanks for the code snippet, it helps a bunch. There is just so much to learn about the WordPress API! Ups! Sorry, delete my earlier post. Forgot to write my question. Cant get the code to work, have tried everything. Can you se whats wrong? Your posted code didn’t come through properly. Try encapsulating your code in <pre> tags, or use pastebin. this would have been a great tut had you not left out the part about retrieving the information from the database. How do I get the values from the radio buttons? In the save_gallery_data function, values from the radio buttons ($_POST[‘gallery_type’]) are retrieved and stored (line 22). I’ve made a blank example for custom meta boxes on posts, and give explanation on how to insert them into custom post types as well here. I’d love to know what you think. Good tutorial, I like it! How i can restrict meta box category with arg child-of ? Where do you add the action? beginning or end of the code? Would be great to see the code in full! I usually add the admin_menu hook at the beginning of my theme functions.php file or at the beginning of my main plugin file. I put it together with the init and admin_init hooks. When I use class wrappers, I put it within the class constructor function. If you want to look at an example plugin with these function calls then check out the Shiba Example plugin. The register_post_type function call I execute from my init function. Both the Shiba Media Library plugin and Shiba Custom Background plugin use custom post type metaboxes. Full working code can be found there but the plugins also contain a whole bunch of other stuff. Ey men! your last posts about custom post types are amazing!! I just created my first custom type, but when trying to add a meta box gives me this error. Please! help, wp is correctly updated to 3.0, i can find the function add_meta_box and cant find why this happens! Thanks very much, i’ve been searching for how to do meta box stuff on the new custom post types and this article has finally helped me to understand. Examples like these are always very useful. Thanks for sharing it with us Darren. Oh, my gosh, thank you thank you thank you. I have been dealing with this stupid nonce thing looking for help. I stumbled onto your site and this method works great. Thank you so much!